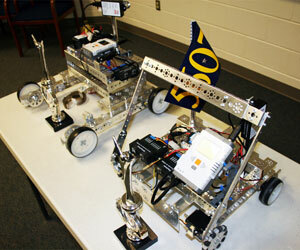 Landstown High Robotics Team | AVW Technologies, Inc.
To be the best, you have to compete against the best. 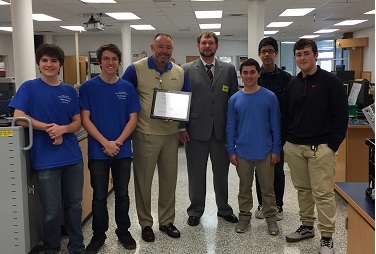 AVW Technologies, in its partnership with Landstown High School, has graciously made that possible for Landstown's pre-engineering classes. 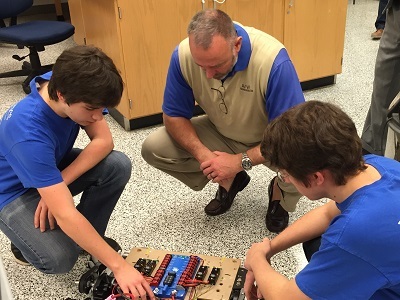 For the past three years, AVW Technologies, a local veteran-owned engineering business specializing in Naval acquisition and engineering assessments, has sponsored seven teams from Landstown High, allowing students to try their hands in the FIRST Tech Challenge, a robotics competition where students compete head to head using a sports model. Four of these teams have made it to the state championship in Richmond. 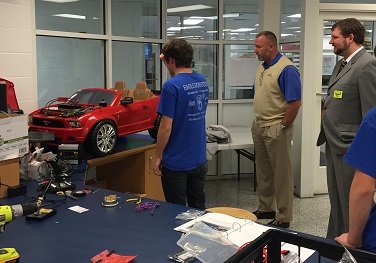 In addition, staff from AVW also serves on the Governor's STEM Academy Advisory Committee at Landstown High School to help ensure the program goals and curriculum meet with the needs of the local workforce. 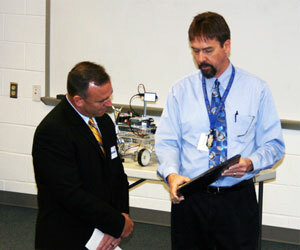 "AVW has been an outstanding role model for businesses that wish to partner with public schools," said Dr. Jim Barger, pre-engineering department chair at Landstown. 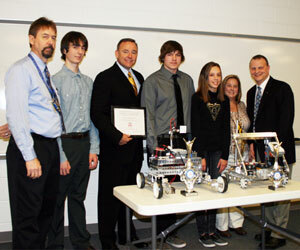 "Their support and cooperation has been stellar and has allowed our FIRST Robotics students to participate at a level that would not have otherwise been possible." 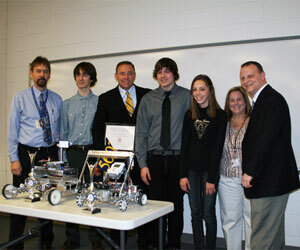 AVW Technologies has provided support for the Landstown High School and Technology Academy First FTC Robotics Teams. 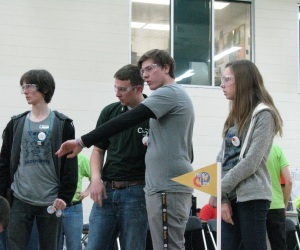 Both teams qualified for the State Championships and and have been involved in community activities such as Operation Blessing and the New Castle Elementary Science Expo. 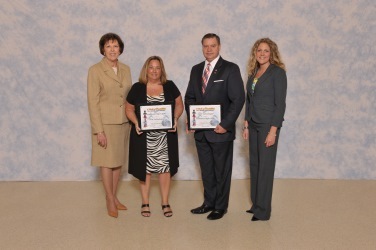 We are proud of their efforts and great success. 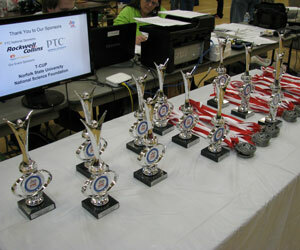 Team 5527 qualified for the finals and was awarded the "Inspire Award". 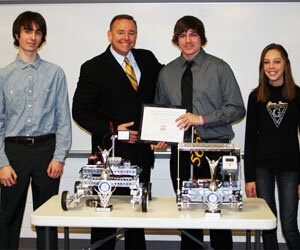 This award is given to teams that best uphold the ideals of FIRST. 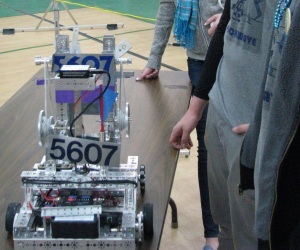 Because of being awarded the "Inspire Award" Team 5527 automatically qualified for the State Championships in Richmond on March 2nd. 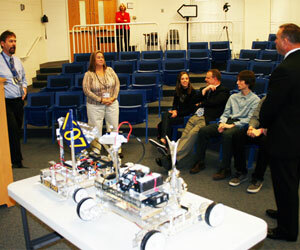 All three teams will be traveling to Virginia State University in Petersburg on February 23rd for the next FIRST FTC qualifier. 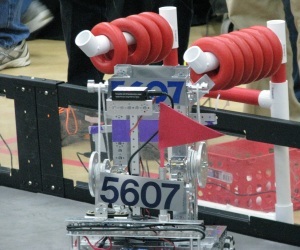 Teams 5607 and 6573 will have another opportunity at this event to qualify for the State Championships in Richmond.